This is the Zulkey family dog. 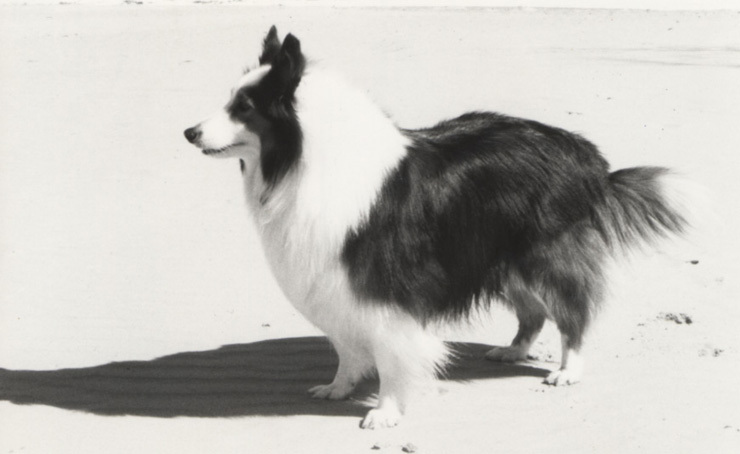 My parents had a Sheltie named Major for 16 years and now have a newer model named Looey. They definitely are...spirited. And vocal. But cute. They’re vain, too, you can tell. I feel like the Smooth Collie has all the smiliness, intelligence and pep of a regular Collie but is at a major disadvantage without the long, flowing coat. I love an underdog. The Greyhound is MY dog so of course he deserves to win all the awards. They’ve basically got it all, as a breed: fascinating history, amazing athletic prowess, heartbreakingly sweet personality and the pity factor. If you want me to tell you more about why Greyhounds are the best, let me know. My in-laws like this breed, and since they have 11 cats, I am all about encouraging them to like an animal that is not a cat, so I am pro-Schipperke. It has an adorable name, a cute body like a little black bush, and is Belgian. Most things from Belgium are pretty great. This is a controversial one in my house. My husband thinks this breed looks too weird. I on the other hand love how it looks like a little lamb. I always like how peevish this little dog looks. He looks like a gremlin. The dogs that win Best in Show always look pleased so I’d be curious to see what a happy Brussels Griffon looks like. I’m not really into toy dogs but I love watching this one walk. Just look at this dog. There’s one in my neighborhood named “Aslan” which I think is an appropriate name for a Great Pyrenees: it’s a leonine dog with undeniably Christlike characteristics. This dog will save us all.